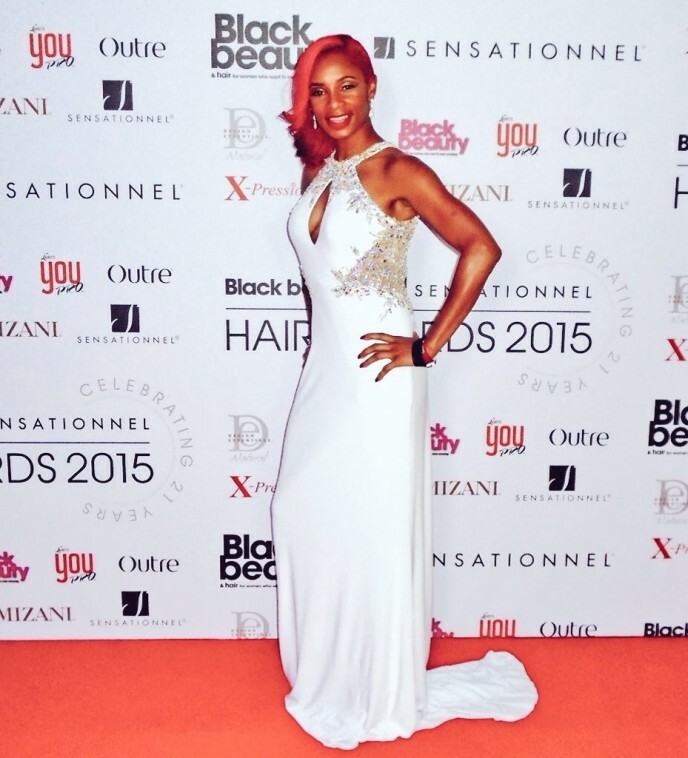 Big Thank You to Jenni Steele for sharing her gorgeous Kiss Me Kate gown at the Black Beauty Mag Annual Sensational Hair Awards. Jenni Wowed the red carpet on entry and sparkled on stage during presenting! The dress fit like a glove perfection!! Jenni Steele has been noted as a strong, inspirational mentor, this is no accident. After living through years of domestic violence as a teenager, Jenni found her strength and researched her way out. It was then her vow to rebuild her self – worth and support others who were living with abuse. As her confidence grew, Jenni Steele entered the entertainment industry as a DJ/Radio presenter at Invincible Radio and went on to present her first award at the Urban Music Award in 2004.